Tablo is back. Or he soon will be. The Epik High front man recently signed on to a four year contract with the same company that his wife Kang Hye-jung is signed under: YG Entertainment. His new album can be expected on November 1st. This is the first time in 20 months that the singer will be re-hitting the scene, following the number one hit on iTunes' Hip Hop Chart "Epilogue". This will be the second case where the primarily hip hop agency, YG signed on a non-trainee musical act, after PSY. This is also the second married couple that is signed under the entertainment giant. 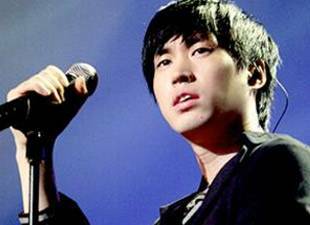 Tablo has been marred by academic-related rumors, to the point where he was forced to put his singing career on hold. Tablo's wife Kang set up a meeting with YG's head Yang Hyun-suk for her husband, who had fallen into low spirits. Yang has always been a strong believer of pure talent in artists, not to mention he was like a musical mentor for a young Tablo. With YG taking pride in their strong production system, it's the perfect company for Tablo to worry only about his music. Thus Tablo's fate with YG naturally intertwined. Tablo graduated from the prestigious Stanford University in the US with a Masters in English Literature. He debuted as a member of the hip hop group Epik High in 2003, showing off strong musical talents and a witty personality. A group of anti-fans have been forming against Tablo since spring of 2010 where they doubted Tablo's academic credentials. Only after the entertainer went to extreme measures to prove his innocence, and after the operator of the anti-fan cafe "Tajinyo" (ID: whatbecomes) was proven to be fabricating these allegations did the whole ordeal settle down.